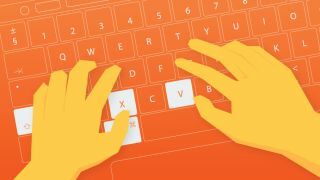 Become a keyboard wizard with these essential Mac shortcuts that will streamline the design process. A Mac shortcut is a combination of keys that, when pressed together on an Apple device, perform an action that would otherwise require a more complicated set of actions. Getting a handle on Mac shortcuts is a simple and practical way to streamline the design process, as along with all the basic shortcuts that are integral to any computer work (copy, paste, cut, and so on), Macs boast a host of less well-known examples that lie bubbling beneath the surface. For designers, tapping into these should be as instinctual as breathing, using learned muscle memory. But that doesn't mean that every designer is getting the most out of their Mac. We have collated twelve of the most useful Mac shortcuts, which should help every designer speed up their workflow and impress their colleagues. And if you love saving time and are after more shortcuts, then don't miss our post on top Photoshop shortcuts. When working over a slew of different documents at the same time, it can be a great timesaver to get rid of unwanted windows using the Cmd + W shortcut, rather than clicking on the red dot in the top corner. Unlike the Quit option, Cmd + Q, this option only closes the window you’re currently working on, keeping the program running along with any other files you have open. The Cmd + I shortcut gives access to the Info dialogue box, which provides a brief overview of the properties of a file or folder, including its size, when it was first created and any metadata (relevant when checking photos). It's also the place you can find the option to designate the file a default program to open with, saving lots of hassle in the long run. The modern world moves at an increasingly fast pace and it’s sometimes frustrating to wait for an image to open in Photoshop CC. Macs have a preview feature called Quick Look, which gives you a fast, full-size preview of the image without having to rely on alternative software. Inspect your image – or images (in slideshow format) – by pressing Spacebar or Cmd + Y. In the latest version of OS, Quick Look also offers limited editing powers. Like a commander surveying their battlefield, designers have the option to take a bird’s eye view of all open applications in Mission Control and move smoothy between them. Switching between different windows becomes a doddle with this shortcut – press either F3 or Ctrl + Up to bring up the spread of applications and choose between them. Over the working day, your screen can become rapidly clogged with a multitude of windows, leaving the time consuming task of minimising or moving them to get back to the desktop. Dive through the clutter with the invaluable shortcut Cmd + F3 to immediately show the desktop, pushing all open windows aside. This also provides an effective method for quickly saving an image from a web browser to your computer, by clicking on the image, using this shortcut, then dragging and dropping straight onto your desktop. An alternative method for achieving the same goal is by setting up a Hot Corner in the System Preferences, Desktop tab. This will allow you to access the desktop by moving the mouse cursor to that corner. You’ll never resort to using copy and paste again, once you’ve tried this nifty time-saver. Simply click on the file you wish to duplicate, hold down the Opt and drag it away, to create an identical copy. You can do this with multiple files at once and also duplicate from one folder to another. Since everything on a Mac is organised into folders, the creation of new ones is a regular task that prevents files proliferating out of control. Pressing Cmd + Shift + N will immediately create a new folder and highlight the filename to type into. This is especially useful when viewing files as columns, where it’s difficult to find a place to right-click and bring up the New Folder option. When taking a screenshot with Cmd + Shift + 3, your Mac captures your entire screen, warts and all, and saves onto your desktop. To grab a specific area of the screen, without having to crop anything afterwards, press Cmd + Shift + 4 to bring up a crosshair, then simply drag it over the area you desire and let go. On a Macbook, it’s a constant struggle to squeeze as much out of your screen as possible. Depending on your preference, you may view the dock as a strip of pixels wasting valuable space. By pressing Cmd + Opt + D, you can hide the dock when you want the whole screen to work with, then use the same combination to bring it back when you’re done. When your Mac drops the ball and stops responding altogether, Force Quit might be your only option – once you’ve stopped screaming. Pressing Cmd + Opt + Esc will bring up a window displaying all the currently active apps, where you can select one to Force Quit. Once the application is closed, you can reopen it and pray you haven’t lost much work. Many creatives use two screens to increase productivity, often having multiple windows open simultaneously across both. But on certain occasions, such as presentations, it is necessary to use screen mirroring, where the external screen mirrors the content displayed on the Mac screen. Pressing Cmd + Brightness Down will toggle screen mirroring on-and-off, and takes a few seconds to sync. With a mere slip of the hand, you could find a tab suddenly disappearing before your eyes, along with that tutorial it took you hours to find. There’s no need to panic. To open up a previously-closed tab, in any of the leading browsers, press Cmd + Shift + T. As if by magic, the old tab appears and you can get straight back to work as if nothing happened.